This was taken on December 3, 2009,at 3:30p.m. on the 110 freeway by Dodgers stadium. 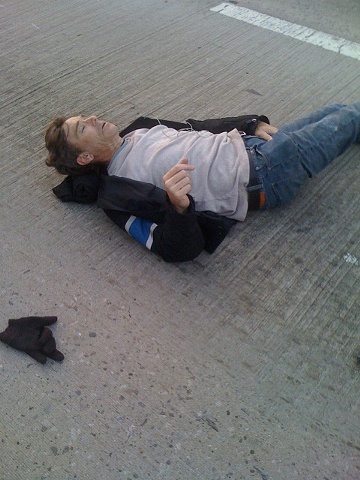 This was about 10 minutes after a van had knocked me off of my motorcycle and then ran over me.